I've been in coworking since pretty much the beginning of coworking. I started NextSpace in 2010. 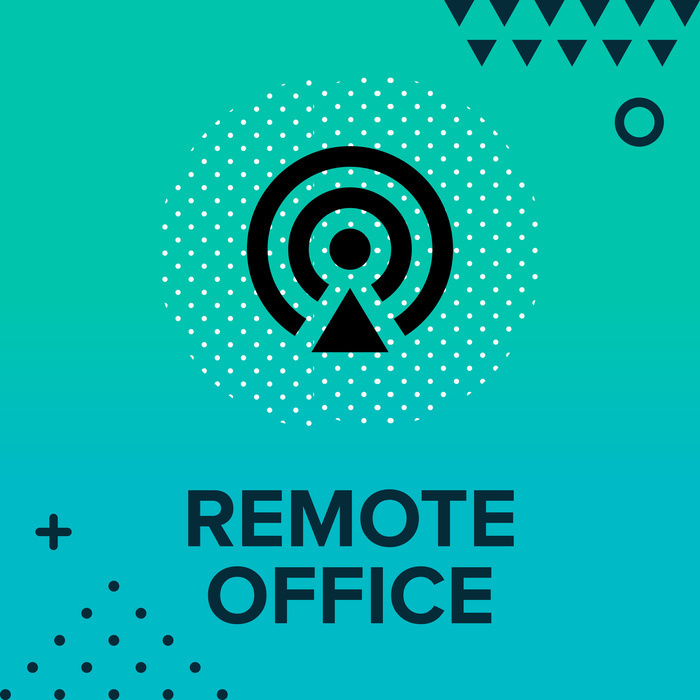 The company was great for quite a long time but we felt like there were ways that coworking could kind of level up and be even more valuable to people. We started to talk about that and it didn't really fit in with how NextSpace was formed or what next space was really focused on. It seemed like it should probably be a new company. NextSpace did really inform a lot of the best practices, things to do things not to do. Covo has been able to really take a lot of those learning. When we started Covo it started off at a much higher level which has been really great and people just love it. Beside coworking spaces, we also open a restaurant and cafe. It's ground-floor retail. It's open to the public so you can go in and buy a coffee or a glass of wine or a sandwich. Anybody can come in and be a part of what we're doing. If you want kind of a more ergonomic furniture or to charge your devices or phone rooms then we have an hourly drop-in and that's four dollars an hour in San Francisco, two dollars an hour in St. Louis which will be opening up. Our second location will be opening next month. Both locations have an hourly drop-in and we created a piece of software that makes your checking in and checking out really easy. If you love it and you just want to be there all the time we have monthly membership as well so you can have your own office or a desk or just open seating membership. We have food from a partnership in San Francisco with a company called proper food which is really high-quality hot meals, sandwiches, breakfasts really good like chilaquiles. It was really interesting at Nextspace. The idea came from was we would pay a lot of money for really good coffee beans. We used Verve coffee beans. It was free for members but what we noticed is that every day people would leave and go to Starbucks. Buy coffee even though it wasn't as high quality and it wasn't free. We studied that for quite a while because we felt like something was happening with the psychology of coffee. There was a possibility this whole revenue stream that we were ignoring. We started to talk to people about when this is really good quality coffee and it's free why do you go to Starbucks. There were a lot of answers but one was that people don't really value what's free. They didn't want to make it themselves cause people always felt like breakfast. They made more than their fair share of coffee. If you drink the last cup, you need to make a fresh pot. There is this whole kind of like psychology. Maybe you like really strong coffee and so you make a strong pot. I like really weak coffee and I make a weak pot. You don't know what's in there when you pour it out. There's also a like consistency of experience. For all these reasons, we felt like okay even though this is free and it's high quality. People are still spending a lot of money on coffee anyway. That was kind of the original kernel of the idea. We started to think about well if people are buying coffee, they're also buying wine and beer at the end of the evening and lunch food. There are all of these things that people are spending money on that if we had them here it would connect people better because you would be able to have that experience in a comfortable environment. 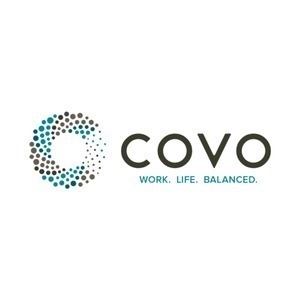 Covo is focused on female and minority entrepreneurs. As a female and minority entrepreneur myself, I feel like it's just not fair that the playing field isn't even. I want to provide that extra support to women and minorities just to make it fairer in the world. We have a lot of guys as well, I feel like it's a better community when everyone is represented. We meet Good Design before we opened. Bill Worthen and Kyle Pickett the two founders of Good Design. They felt like there was really a need in the coworking ecosystem for an AEC focused space. They're all of these architects and engineers that coworking almost works for but they need plotters, they need a materials library and so what if there was a coworking space for them. They had started this whole movement to develop a coworking space specifically for the AEC community. We said well where we have a space that's for everyone but we would be willing to partner with you or we would be happy to partner with you and provide those amenities so that there is a coworking space where AEC is comfortable and has what they need and that's been great about a third of our community falls into the AEC category. We have a lot of really amazing events the US Green Building Council has a happy hour at Covo every month and ULI which is Urban Land Institute so there's been really great programming that Good Design has been instructive in as well and that benefits everyone. It feels great! It feels so good! When you come in there's somebody greeting you. We have great coffee and a wonderful genmaicha. The furniture is comfortable, you can either sit at a table or stand at a standing table. In the evening, we have a lot of great events and the wine bar and great beer. We do wine tastings and our sommelier teaches us all about the wines that we're drinking. People have been getting kind of a more education and sophisticated palate. San Francisco is an expensive city. It's important that people work hard, you need to be able to make money to live here but it's not only about that. It's also about enjoying the time that you have on this planet and making the most of every day so connecting with people and enjoying the experience. We were really thinking about the design and ambiance in great part because it is harder to attract female entrepreneurs than male so we wanted to make sure that they felt really comfortable. It was very clean. We have a mother's room for pumping and breastfeeding. We started with the design so that once people saw the space they would feel really good and be encouraged to either use the drop in space if they don't want to commit or they're not around very often or upgrade to a monthly membership. We do a lot of events that draw new people to this space and we have an active email update campaign. We let people know what's going on with Covo as well as featured events that are coming up to get people back into space once they've been in. We collect everybody's email through the Wi-Fi system. Those are some of the ways and we just try to give everyone a really positive experience so that they want to come back. We have blockchain companies, we have AI, we have FinTech and we have a lot of app-focused companies. I love that they're mixed in with architects and engineers. We have an astrologist. We have a couple of photographers and videographers. You learn so much from people in other industries and there could be a solution for your biggest challenge in an industry that is very different than yours. I like people being able to connect with people that are different than themselves. We are bootstrapping but we did raise through friends, family, and angels and we did that twice. We did that for the first location and we went back a lot of our investors returned a second time for the St. Louis location and we also have a bunch of new angels that have come on board. It's really inclusive but at an extremely high level. The caliber of people that you meet it's not like it's the cool club. It's not like really snobby and pretentious but it is just some of the smartest, most successful, most capable people I've ever met and they open up their minds and brains and arms to you. We've created this environment where people get so much out of being a part of the community that they want to pay it forward they want to bring new people into the fold. I see a lot of Covo's. We have more locations. I think every primary city, secondary city and a lot of tertiary cities will be good homes for Covo. There are so many places that I think Covo can be will really flourish Las Vegas, San Diego, Chicago. We'll do a nationwide push in the next couple of years then globally. The song is by Sro The Wastes under CC license.